Trend is bearish in AUD/USD currency pair, four hour time frame. As I have suggested past week during my daily Live trading room session, market is falling down on a medium term basis to complete a bearish Elliott wave c leg and traders should look for a sell trade. So, all those Forex traders who have followed my Elliott wave analysis have made the right decision as the price action has descended. Strong key resistance level is present at 0.7632 price level. Be sure to check out daily Forex market updates via Live Trading Room. In my opinion, price action in AUD/USD currency pair is most probably going to drop more towards 0.7485 price area to print a bearish wave c leg which is going to complete wave Y of a Double Zig Zag. So, a good idea is to go short at market to ride and trade the bearish wave Y Double Zig Zag Elliott wave pattern. However; if price action of AUD/USD currency pair closes a bullish candlestick above 0.7632 important resistance level then bearish Elliott wave count will become in-valid. In this case, I would prefer to stop trading the AUD/USD currency pair and re-look at the four hour chart. Trend is bullish in four hours chart. Important key support level is present at 0.7604 price level. In past few trading days, price is moving sideways and it seems to me that Bullish Triple Zig Zag is going to end soon. So, I am looking for a top in AUD/USD currency pair. Currently; the trend is still up because price action of AUD/USD is still above 0.7604 support level. A good idea is to look for a buy trade with care. However; if price manages to close a bearish candlestick below 0.7604 critical support level then up trend is going to end. Henceforth, I may jump at the chance to stay out of the market and re-inspect the AUD/USD price action. Full Release at TheGeekKnows.com Learn Forex Trading and read exclusive EUR/USD Forecast and AUD/USD Forecast Reviews. In the previous AUD/USD forecast we noted that the currency pair was bullish. It remained above the upper bollinger band. We might see a test of the 0.76 resistance in the upcoming week. In the previous EUR/USD forecast we noted that bullish momentum might test 1.12 again before targeting the upper bollinger band. The middle bollinger band would be a likely support for any bearish return. Looking at the AUD/USD weekly chart above we note that the currency pair is bullish for the week. It tested 0.76 as expected. The currency pair has not established a new range. 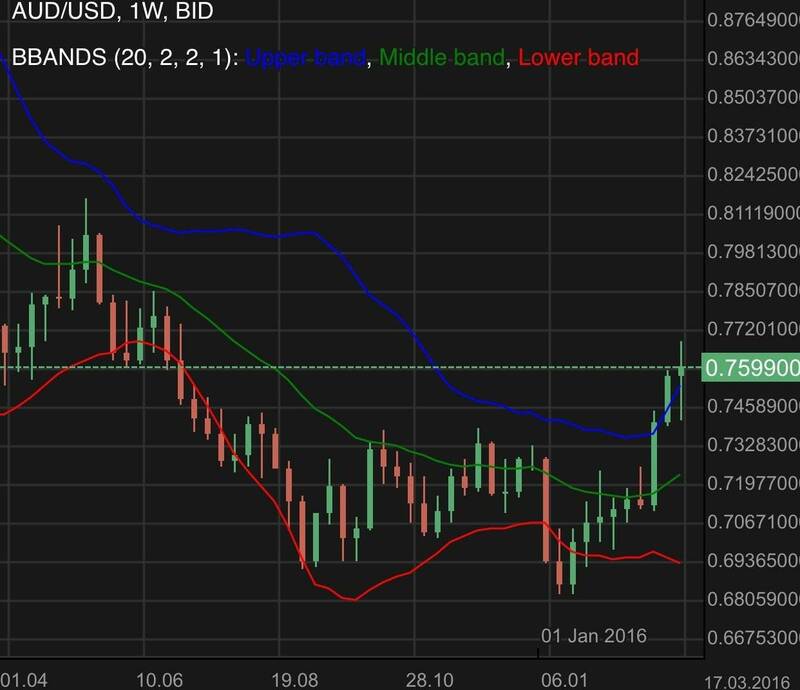 If it remains engaged above 0.76, we may see it easing into the 0.76 to 0.785 channel. Don’t miss the full forecast. Continue on to TheGeekKnows.com for the full technical analysis and the fundamental analysis of the AUD/USD EUR/USD Forecast Weekly Review to understand more about the underlying market sentiments. 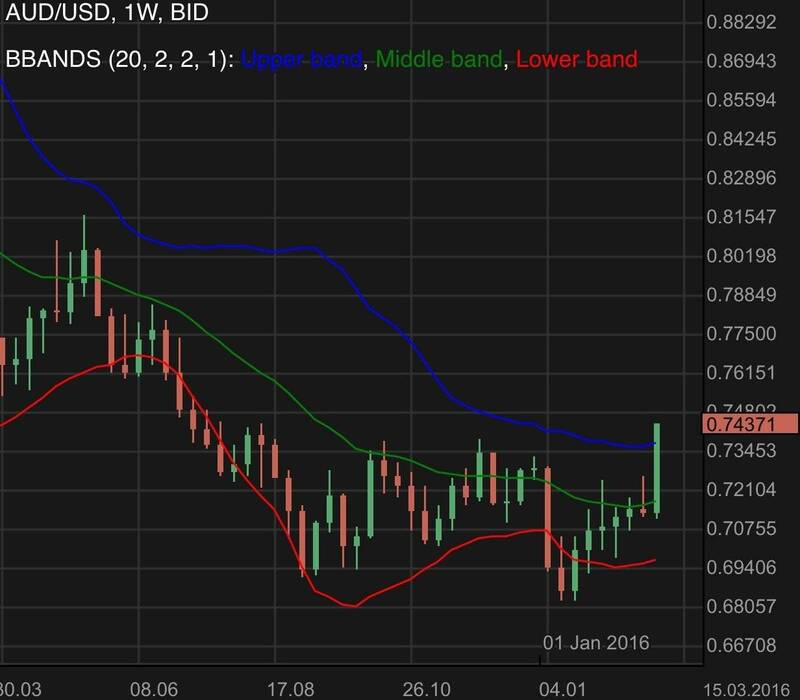 In the previous review we noted that the AUD/USD had a strong bullish momentum. It broke through the bollinger bands and might target the 0.76 resistance. In the previous EUR/USD forecast we noted that from a technical point of view, the bollinger bands remained as good technical indicators of support and resistance levels. A clean break from 1.1 was needed before any further bullish momentum could be expected. The immediate resistance was likely to be 1.113 followed by 1.12. The extended bullish target would be the upper bollinger band. Looking at the AUD/USD weekly chart above we note that the currency pair continued the bullish momentum for the week. It remained above the upper bollinger band thus indicating a strong momentum. In the previous AUD/USD forecast we noted that the currency pair was bullish for the week. As far as a bullish trend was concerned, the bollinger bands serving as resistances had to come down first. In the immediate region was the middle bollinger band. Looking at the AUD/USD weekly chart above we note that the currency pair had a strong bullish momentum. Both the middle and upper bollinger band were breached. Don’t miss the full forecast. Continue on to TheGeekKnows.com for the full technical analysis and the fundamental analysis of the AUD/USD Forecast Weekly Review to understand more about the underlying market sentiments. In the previous AUD/USD forecast we noted that currency pair was slightly bullish for the week. It remained within the limits of the lower and middle bollinger bands. The price action was somewhat a doji and this continued to suggest a indecisive situation. The bollinger bands setup remained a good reference and I would be looking at the lower and middle bands as the immediate support and resistance. Looking at the AUD/USD weekly chart above we note that the currency pair was bullish for the week. 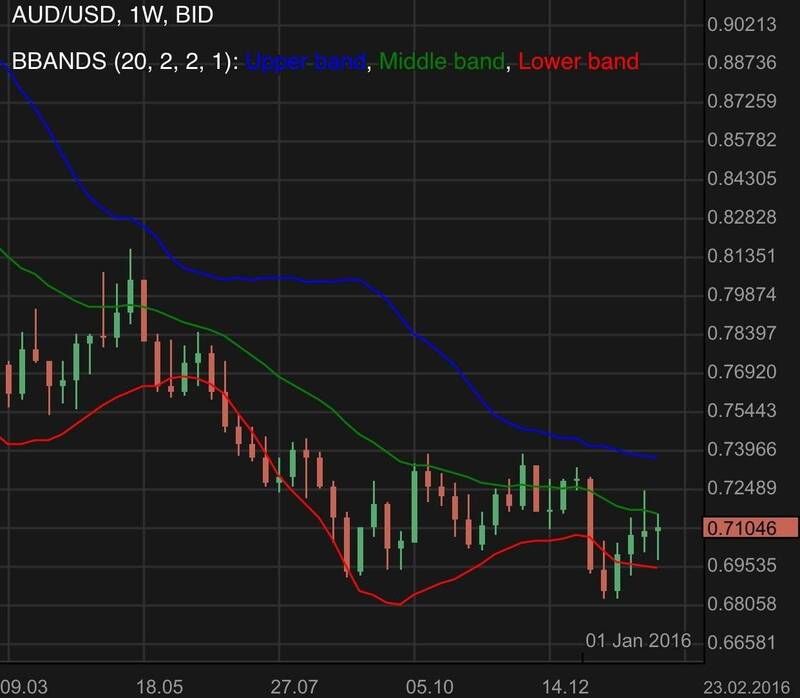 The middle bollinger band was tested but the AUD/USD did not manage to breach it. 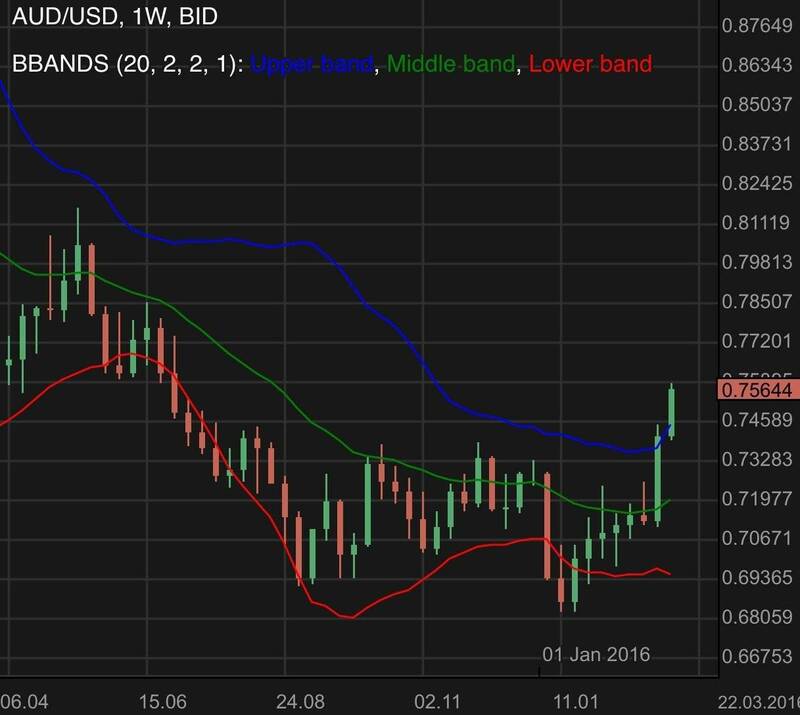 In the previous AUD/USD forecast we noted that the currency pair tested the middle bollinger band but failed to hold above it. The candle was a doji for the week. The doji suggested indecisiveness or apprehension as the market traders even out on both sides of the bid. The lower bollinger band remained as the immediate support with an extended push likely to target the previous low of 0.6820. Looking at the AUD/USD weekly chart above we note that the currency pair was slightly bullish for the week. It remained within the limits of the lower and middle bollinger bands. 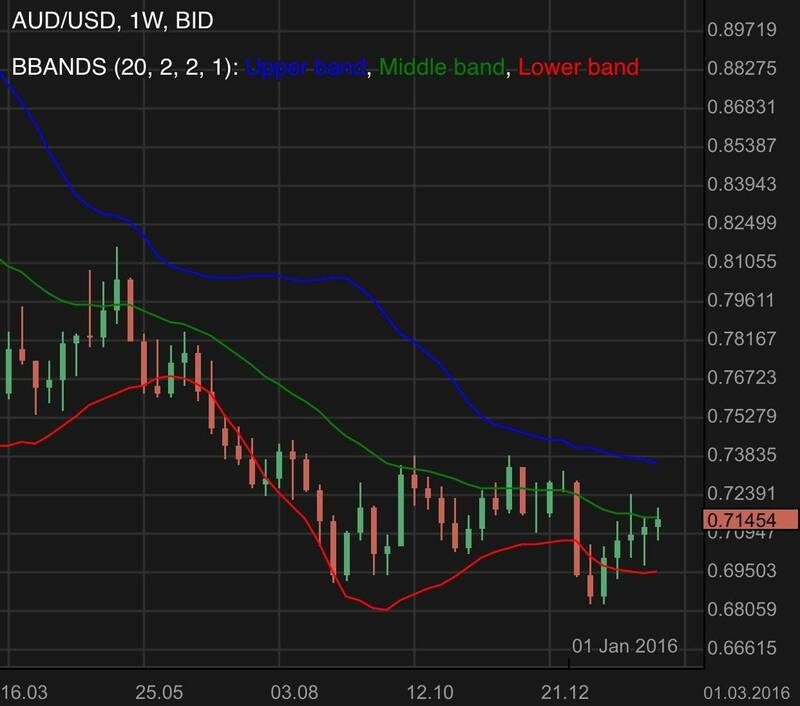 In the previous AUD/USD forecast we noted that the currency pair was recovering and it tried to test the middle bollinger band. I would be mindful of the lower and middle bollinger bands as they might serve as immediate support and resistance levels. 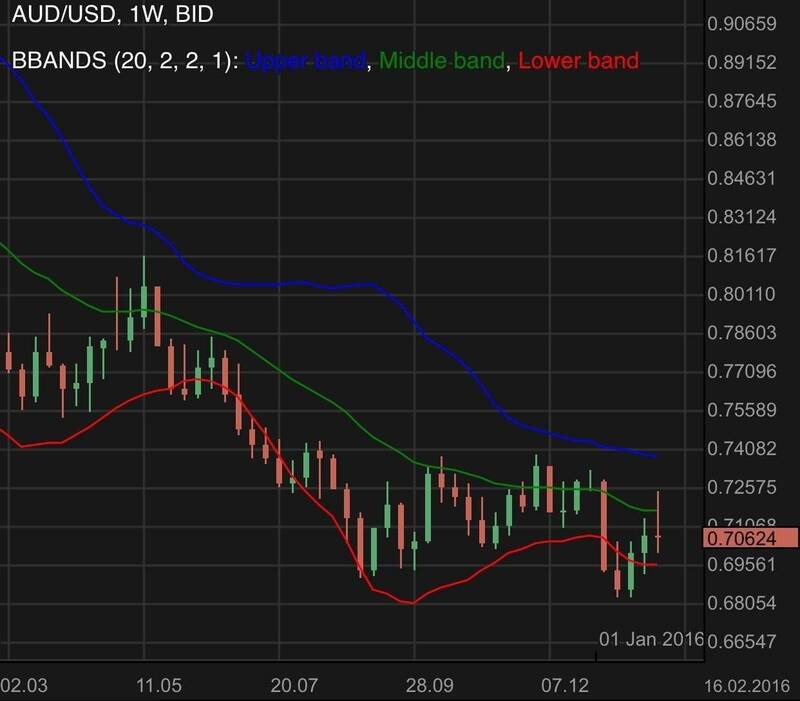 Looking at the AUD/USD weekly chart above we note that the currency pair tested the middle bollinger band but failed to hold above it. The candle is a doji for this week.